The News and You: How New High-Speed Trains Could Affect Your Commute and Improve Your potential Job Prospects. 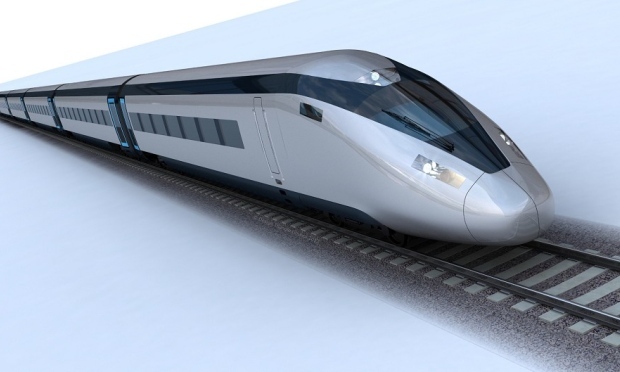 The government are planning to introduce a new high-speed rail network to the Pennines. The intention is to balance the economy across the country, particularly outside of London, and also to make travelling east-west in the north more like “travelling around a single global city,” says chancellor George Osborne. This will be achieved by building a tunnel from Manchester to Leeds, halving the current journey time to roughly 22 minutes. For anybody that commutes across the Pennines at all, this could mean not only a much faster journey time before and after work, it could also mean that you would be able, or at least far more willing to, commute to somewhere much further away than before, opening up a range of new career opportunities and possibilities. Both Manchester and Leeds are home to different companies and both have different strengths of their industries. For example, Leeds is the home of the headquarters of companies such as Asda, the hair and beauty products company GHD, the clothing brand Republic, and Capita, a business process outsourcer which is listed in the Financial Times’ top 100. Many agricultural, food and drink based companies are found in Leeds, such as Arla Foods, Goldenfry Foods and Leeds brewery. There is even a subsidiary company of Scotland-based videogame giants, Rockstar. Click HERE to see our list of jobs currently available in and around the Leeds area, as this new Pennines tunnel could open new possibilities without forcing you to commute for about a day and half every morning. Manchester is home to a thriving culture, and its range of companies with offices situated there is a reflection of this. Even Google has offices there, the only offices outside of London here in The UK. The list of companies with their offices in Manchester is impressive. You’ll find the national head office of companies such as: Adidas, Kellogg’s, PG Tips, Avecia, Thomas Cook Airlines and Britannia Hotels. It’s a dizzying array of companies, that may become available to you with the construction of the tunnel. Click HERE to see more than 1,300 jobs that we have available for North-West England. Although, I wouldn’t quit your job just yet, as the plans may not be completed until as late as 2033 and beyond, and may not even be completed anyway. So quite a wait there, but one to think about if we see England becoming far more connected in the coming years. However, it remains to be seen if these words can be taken to fruition after the elections. ← The Most Common CV Mistakes.